Is your peanut butter making you sick? 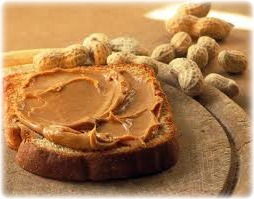 The AP & Huffington Post recently reported the lot numbers of salmonella contaminated peanut butter. So run to the fridge and grab your jar to see if yours is ready to toss. Not to scare you stiff but salmonella poisoning is one of the most common types of food contamination with over 40,000 reported cases of infection per year, that can end up with you feeling incredibly sick. Let's face it...there's nothing attractive about tossing your cookies and well, pooping...a lot. The point is, fatty foods tend to be a bit more protective of salmonella. By the time it reaches your body's first line of defense, your acidic stomach, it has a better chance of surviving and causing you to run to the restroom. Don't let this be you and clean your shelves of Smucker's natural peanut butter jars stamped 1308004 & 1307994asap.